Car Metaphors » Blog Archive » Who else is the cloud? Who else is the cloud? 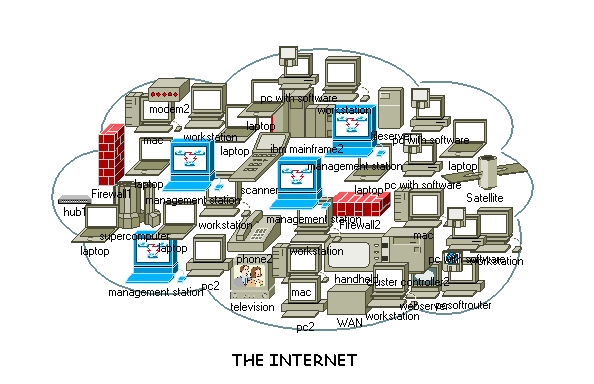 Since the beginning of time, in a typical network diagram the Internet is shown as a cloud. in 2008 this fact was brought to our attention to explain the new trend — The Cloud. The Cloud came to replace the ugly Web 2.0. But not only. It’s happily used as a new name for the Internet and shows a new understanding of what the networks of networks should be. The new buzzword is indeed beautiful, you can’t compare it with the techy sounding Web 2.0, though this time we actually deal with a quite good defined technical term, meaning “computing provided as online utility”. But The Cloud — is charming and, I’d even say, sedative. Cloud gained its positive image with Internet users in times when they were the person of the year. 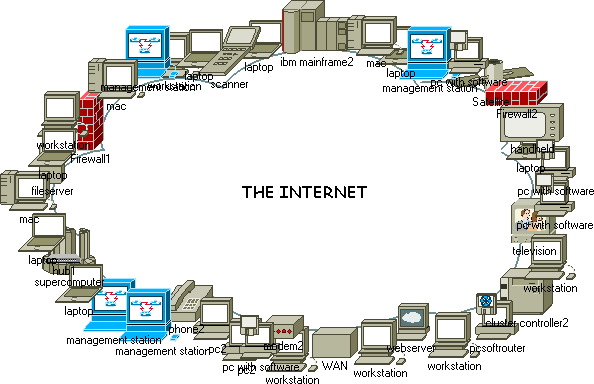 It stands for an Internet of peers. Cloud is the Internet that belongs to us, because we build the network with our good enough content, powerful enough computers and valuable enough data. It is programmed by us and that’s why “it’s even more personal than the PC on your Desk” as Nicholas Carr writes it in his great book The Big Switch. [w]e should be wary of techno-contractions like “social software” that suggest technology glues us humans together (again). Instead, we should read – and enjoy – networks as info-clouds that cover the sun. They disperse the bright light of broadcasting media. But, paradoxically, The Cloud means exactly the opposite. The best sign of this paradox is Chris Anderson’s flaming speech: In the editorial of July’s Wired issue he stated that we live in the Petabyte Age, that Petabytes don’t fit on hard disks and disks arrays and that we ran out of organizational analogies. Two years ago his solution was to use the power of users and their computers (in the book The Long Tail), now the answer is The Cloud. And The Cloud is not YOU or your tail, but the cluster of 1,600 processors, several terabytes of memory, and hundreds of terabytes of storage, along with the software, including IBM’s Tivoli and open source versions of Google File System and MapReduce. What we witness now is a shift in the interests of IT giants towards providing IT capabilities online as an utility, and their intention to put equal signs in between Internet and their service. Internet = Google’s Cloud, Internet = Apple’s Cloud, Internet = Facebook’s cloud. Amazon allows customers to rent virtual computers on which to run their own applications with their Amazon Elastic Compute Cloud (Amazon EC2). 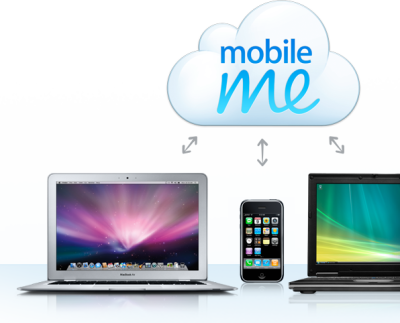 Apple draws their collection of online services and software as a Cloud. Erick Schmid is quoted in Business Week saying that “Google aspires to be a large portion of the cloud, or a cloud that you would interact with every day.” Nicholas Carr thinks about Google’s browser project that Chrome is the first cloud browser. With Web 2.0 the question was what is it. With The Cloud, who will it be. “Cloud computing is a trap, warns GNU founder Richard Stallman” other quote: “”worse than stupidity”"
Usually more clouds (or even one big cloud) would mean less drop shadows. Not nowadays, as it seems.